Happy Birthday to my Momma! 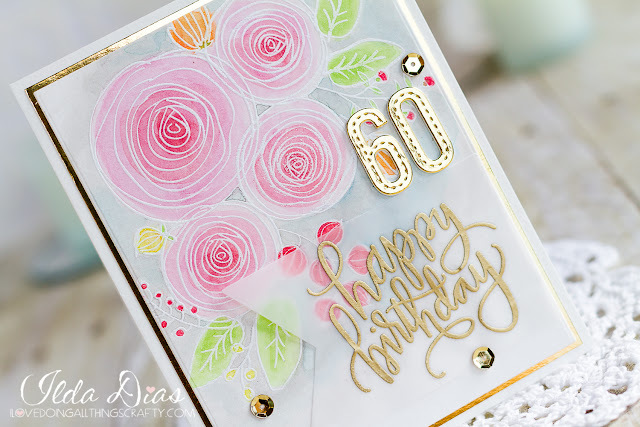 This week she turned 60!!! So today I am sharing the card I made for her with you. This was also my first time trying out the Michael's Recollections Color Splash Crayons, which funny enough I think may now be discontinued. I wanted to add them to my product list below but couldn't find any links for them so I linked up a similar product. (Update: found a link so just added it). Anyways I was impressed with how easy they were to watercolor with and I really liked the shimmer they left behind. I love the both these stamp sets from Simon Says Stamps, I will definitely be using more in the future. Here is a closer look at this beauty! 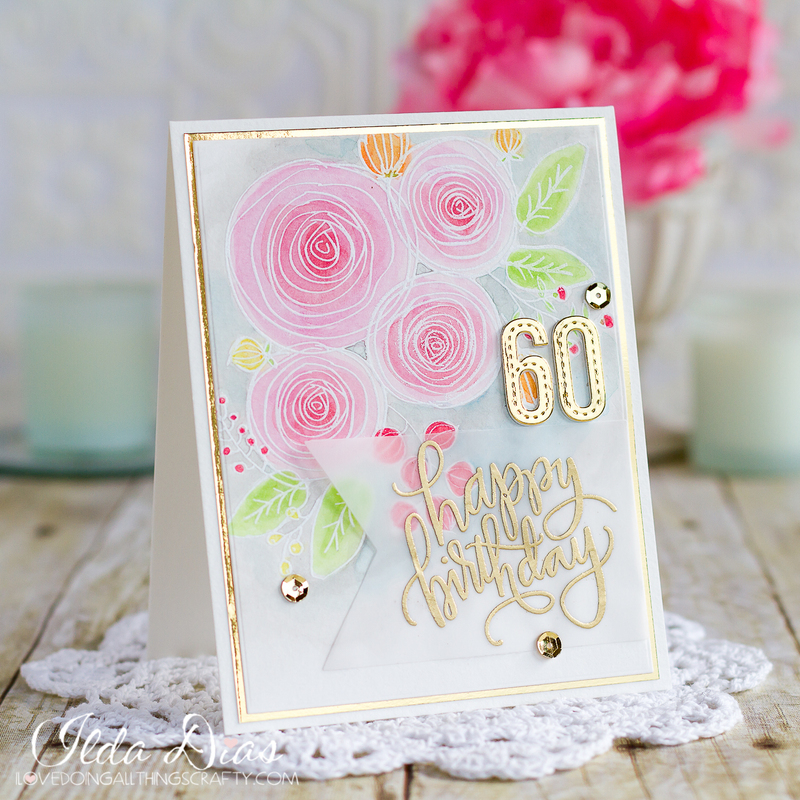 I hope you were inspired by my Mom's 60th Birthday Card featuring SSS Stamps Sketch Ranunculus + Big Scripty Greetings.